Some years ago I watched a swords and sandal epic movie (produced in Italy with English sub-titles) about an old Grecian legend involving titans, monsters heroes etc. The titans had just been released from some kind of very long captivity from a previous age. One titan (in human form) was chatting with a barmaid and said “I have been waiting for ages to meet someone as beautiful as you”. This innocuous story led me to consider how the astrological ages correspond with developments with the astrological ages. Allegorically this could be likened to the astrological ages navel gazing. The ‘modern’ approach to the astrological ages was kicked off by the Greek astronomer-astrologer Hipparchus in the late 2nd century BC when he irrefutably discovered the slow eastward shift of the stars due to the precession of the equinoxes. This newly perceived perspective from around 127 BC (for the Greeks at least) allowed Hipparchus to conceptualize the astrological ages. This occurred in the previous Scorpio sub-age (189 – 8 BC) – specifically extremely close to the first sub-age decan cusp around 129 BC, the Cancer sub-age decan cusp. Jump forward to modern times, and the equivalent to 127 BC is 1853 AD (equivalent in the sense that both 1853 AD and 127 BC exist two years past their respective Cancer sub-age decan cusp). There is also another way of relating specific periods between different ages. Each age is approximately 2150 years. Add 2150 years (an age) to 127 BCE and we arrive at 2024 AD. At a minimum, we know that the period 1853 to 2012 (leading to 2024) has experienced a revolution in the acceptance, understanding or recognition of the astrological ages in modern times along with a massive resurgence of interest in astrology. In the 19th century Blavatsky, who co-founded the Theosophical Society in 1875, popularized the concept of a new age commencing in 1888 and some of her followers specifically addressed the Age of Aquarius. This marks a new age for the astrological ages rising to a crescendo in the late 1960s when the musical Hair proudly proclaimed in its first song ‘this is the dawning of the Age of Aquarius’. References to the Age of Aquarius are now so ubiquitous, that on any day, about half a dozen references can be found in the media (especially in the USA), and particularly promoting the urban myth that the Age of Aquarius arrived in the 1960s and 70s. In following the press and online articles, many commentators suggest that the Age of Aquarius lasted 10 or 20 years as the world seems to have moved away from the Age of Aquarius in recent decades. Therefore in the two periods associated with highpoints for the astrological ages, both are associated with a Scorpio sub-age and both periods are about one age apart. The next area of interest is another age before Hipparchus discovered precession. Using both methods as applied above, 2150 years before 127 BC takes us back to 2277 BC based on an age with an average of 2150 years. Two years past the Cancer sub-age decan cusp of the ancient Scorpio sub-age (2188 – 2006 BC) places us around the year 2125 BC. Therefore the period 2277 to 2125 is the target period for an ancient highpoint related to the astrological ages. For many people this is ridiculous because in academia, precession of the equinoxes was only discovered by Hipparchus around 127 BC. How could anyone before this time know about astrological ages or precession of the equinoxes? Though academia rejects ancient knowledge of precession of the equinoxes and the astrological ages before Hipparchus – mountains of circumstantial evidence suggests the contrary. Most astrologers know that astrology is too subtle and sophisticated for academics to comprehend (they need an apple to fall on their head), so we will put aside their collective limitation and move back to very ancient times and see if ancient astronomers may have made advances in their understanding or knowledge of the astrological ages. Surprisingly, the period 2277 to 2125 BC hits the nail right on the head. A major restructuring of the zodiacal constellations occurred in the late third millennium BCE because over the thousands of years since the Mesopotamians had been observing the heavens, the constellations had shifted position due to precession of the equinoxes. It is believed this restructure of the constellations occurred in what is known as the Akkadian period (2390–2210 BC). If the astronomers from this ancient time could perceive that the stars had shifted, did it occur to them that the stars would keep shifting into the future? Did they relate astrological ages to these shifting stars? Though we cannot be certain of the knowledge-base of ancient astronomers, we can historically perceive the developments in ancient astronomy. For thousands of years a cosmic religion had existed where the heavenly bodies were deified. Sometime, not long before 2000 BCE in Mesopotamia, the astronomers commenced applying astrological concepts to the heavenly bodies. This very major development in astrology appears around our target period of 2277 to 2125 BC. Another key development is that the stars and constellation, as defined in those ancient times, became ‘frozen’ until Hipparchus appeared around one age later. As early as 1915 researchers noticed that the ancient Greeks inherited the Babylonian constellations, but the constellations they used were defined around 2084 BC (in the final florescence of the old Sumerian civilization in Mesopotamia). Other researchers agree with this approach. Basically what we have is three highpoints associated with astrology (and astronomy) in general, including the astrological ages to a certain extent – all associated with a Scorpio sub-age. Between these highpoints are large periods of time of erratic or reduced activity or understanding but with some highpoints, particularly when any period is associated with Aquarius. For most of the 1st and 2nd millenniums BC, a lot of important astronomical/astrological knowledge or understanding appears to have been lost in the turbulence of those times, and people much information could only be hand down and possibly only partially understood. There is a delusionary expectation that as the years unfold, everything improves. This is not the case. Shakespeare is still called the greatest poet the world has seen. Michelangelo’s artwork is revered today. Any original Impressionist painting is worth a fortune. Picasso is undoubtedly the greatest surrealist or abstract painter the world has known. Most of the best classical composers lived a number of centuries ago. People will be listening to the music of the 1960s and 70s in awe for centuries. The best novelists the world will appear around 2029 (minus 15 years or plus 60 years), and not to be overtaken for around another 700 years. The reason for these spikes in accomplishment is that they all relate to peaks in ages and sub-ages. For example, the power of Pisces at the time of Shakespeare will not be replicated for almost another 26,000 years. The music of Jimi Hendrix, Bob Dylan, the Beatles and so on is associated with the Pisces-Aquarius age (1433- 3574) with a highpoint for Scorpio in 1970. As Richard Tarnas points out in his music and astrology workshops, the music of the 1960s and 70s was the combination of the Uranian (Aquarian) electric medium combined with the sexual rock-and-roll beat of Pluto (Scorpio). Therefore it can be expected that the current highpoint for astrology in general and specifically the astrological ages will not be constant in the coming millennia. It is therefore appropriate that such a major discovery of the true nature of the astrological ages is made during the current period when the astrology of our time resonates with major advances in astrology. Even ten years ago, near the beginning of my major research into the astrological ages, I was aware of the need to produce a book at a time that was a suitable highpoint for astrology. The whole Scorpio subage and overflow (1791-1970-2148) is a highpoint for astrology, but there are specific Scorpio hotspots within this multi-century period. One such hotspot is the current Scorpio micro-age decan and overflow (2005-10-15) with the bell curve highpoint located 2007-12 (basically aligned to the GFC). Ten years ago I thought this hotspot was located around 2020 and so I thought I had plenty of time to write my book. This illusion was shattered in 2006 when I eventually fine-tune my rectification of the start of the Aquarian age to 1433 – about 10 years earlier than my previous estimate. This advanced the current Scorpio hotspot from around 2020 to 2010. I immediately felt the pressure to produce the book of the astrological ages and I commenced writing it in 2007, with it being published in 2011. For those readers interested in the astrological ages we live in a magic period. In hindsight it is easy to see why Hipparchus in the 2nd century BC got his calibration technique for measuring the astrological ages wrong. This is why for over the last 2,000 years the astrological ages have been a mere toy and plaything for some astrologers, as it gave the hint of correlation but was basically useless as a predictive tool. One of the big questions I have is: did the astronomer-astrologers of around 2100 BC perceive and understand the astrological ages? Circumstantial evidence cannot provide a definitive answer but there is a good possibility the answer is yes. Every time you look at a zodiacal constellation in the sky, you are looking at the forensic evidence left by the ancient astronomer-astrologers over 4,000 years ago. These zodiacal constellations, in their heliacal rising mode of calibration, are exactly aligned to the astrological ages as defined with the Age of Aquarius arriving in 1433 AD. Is this an accident or were the zodiacal constellations purposely defined to measure the astrological ages? Now this is a real mystery! Will we have to wait another age to find out? In my last post The Astrology of Global Warming I made the claim that global warming is a red herring except for some short term symptoms the world is currently experiencing. Global cooling is more likely to be the real culprit, but this is extremely unlikely to occur in our lifetimes. Ten years from now people will be concerned about water supplies in place of temperature, though they may be connected. There is a much larger issue looming that may have more serious consequences then global warming. This is where astrology comes into its own. Scientists around the world are extrapolating the current small increase in temperatures, and predicting the dire consequences that will result if this increase in temperature continues. Remember when men first went into outer space and the moon? Most of us thought that we would be holidaying in space in our lifetimes. Current developments always seem the most important, but many current developments have a short time span. Astrology can see global warming, but it is a 15 to 30 year wonder, with most of the worst already over. It is the new developments that cannot be easily foreseen that astrology shows its mettle. Astrology can see around the next corner before we get there. It can see around the corner in the climate change direction, and the issue around the corner is not temperature (in our lifetimes at least). The much larger problem that will arrive due to pollution is deteriorating air quality. Even from a non-astrological perspective this makes sense. The world is pouring into the atmosphere millions of tons of carbon dioxide and other toxic chemicals at an ever increasing rate. The contamination of the atmosphere can affect temperature resulting in global warming, the acidity of the oceans and so on, but common sense says that greatest impact will be on the air itself rather than secondary manifestations. Astrology indicates that the degradation of the air will impact the world at least three times greater than the current impact of global warming and drought. The reason why air quality will be a very serious issue by the end of the third decade of this century (i.e. by 2028 or 2029) is due to wheels within wheels within the Age of Aquarius. Since the world entered the Aquarian age in c.1433, the world has passed through the Capricorn, Sagittarius and Scorpio sub-ages (each 1/12th of the Age of Aquarius and lasting some 179 years each). The Libra sub-age stretches from 1970 to 2148. It has three decans, Gemini, Aquarius and Libra. The Gemini decan covers the period 1970-2029. The wave-like action of ages and their sub-periods indicate that when Gemini reaches its highest strength around 2029, like a wave it will break over the succeeding 60 years or so. The period 2029 to 2089 is when developments with Gemini credentials will be at their strongest. On the positive side this indicates far greater efficiency and developments in electronic and digital communications taking the email revolution to another level. Mobile telephones will also see a spectacular leap in technology. The greatest novelists and their novels for many centuries will appear. Massive developments in public transportation and improvements in private transportation will take place. 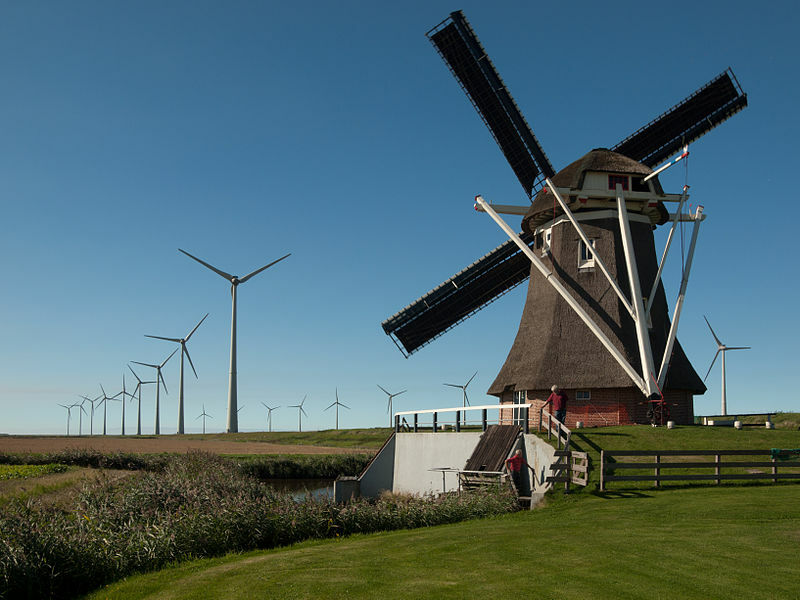 Wind mills generating electricity will flourish and exceed solar power. On the problematical side under Gemini the world will see the devastating and corroding capabilities of the atmosphere full of carbon dioxide and poisons as Gemini is an Air sign. Gemini also indicates lung diseases (asthma, bronchitis, emphysema, lung cancer, TB, pleurisy etc), nervous system problems, mercury poisoning and stunted mental development. Lung diseases makes sense – if the air is full of contaminants, it is the lungs that have the first point of contact. At a certain point the level of contaminants in the atmosphere will be so high this will start to affect a large number of people, especially in the Northern Hemisphere where pollution is heaviest. Cities are already the main source of pollution in the world. Their combined growth in population around the world is staggering. Carbon dioxide producing cars will be drastically reduced, banned altogether, or petroleum will be in such short supply anyway that economic necessities will force non-toxic forms of local transportation. Public transportation will see its heyday. Public transportation is the way of the future. Mercury poisoning is already a growing reality. Recently health experts are advising people and especially children to avoid over eating large fish. Large fish tend to accumulate greater mercury than smaller fish. Already cases of children with stunted mental developments are occurring and health experts attribute this problem to regularly eating large amounts of fish. Some places in the world are already experiencing chronic pollution and the types of problems mentioned above – Chinese cities are a good example. The World Bank has stated that 750,000 people a year are dying in China prematurely due to pollution. This calamity will spread unless cities take control of their pollution strategies. Some cities are already doing this. London plans to cut its carbon footprint by 60% of its 1990 level by 2025. Though this may seem extreme, this is what they have calculated must be done to prevent the worse case scenario occurring, similar to what some Chinese cities are already experiencing. Gemini also indicates that another development will take place from 2029 onwards which will help to significantly lower the level of pollution. The opposite sign to Gemini is Sagittarius. The key sub-age involved with the Industrial Revolution and the world wide population explosion is Sagittarius – the sign of expansion. However the appearance of Gemini at full strength in the 21st century indicates that the expansionary phase associated with Sagittarius will come to an end or be severely curtailed. Preliminary indications of this slowdown are already evident. The most demonstrable slowdown in the Sagittarian related expansionary process is the population explosion. While the worldwide population continues to expand at an apparently unstoppable rate, the population expansion rate for the typical developed country is contracting. Evidence of the slowdown in population expansion is also now noticeable in the second tier of nations while China has been enforcing their one child policy for many years. Each person in this world contributes their share towards pollution – therefore the lower the population the less pollution. Unfortunately a shrinking population and lower activity undermines the capitalistic economic system. The period 2044 – 2059 is aligned to the sign of money and finances in a Taurus sub-period (within the Gemini sub-age decan overflow). Research indicates that Taurus periods are generally aligned to recessions and depressions (the first serious economic period in the 21st century). Due to the adverse economic circumstances that will arise at this time, most likely due to the effects of having to deal with over pollution, a temporary lapse in applying anti-pollution measure is likely to take place with devastating adverse results. Conservative reactionary elements in the world are bound to put pressure on avoiding dealing with the issues of pollution at this time (and at any time) to protect their wealth. Without polluting this world of ours.